With roughly 200 sharp minds and 400 capable hands at its disposal, the halls of Greater Nevada Credit Union ($541M, Carson City, NV) are a flurry of activity, and the hustle and bustle is a welcome sight for CEO Wally Murray. Now, with a number of talented new hires for several burgeoning departments driving a nearly 3% uptick in staffing over the past year, according to Callahan data, it's clear good people are an integral part of where Greater Nevada is headed in the future. Keeping this growing work force motivated and on task is a three-phase proposition: first, leaders must create a vision for the future; second, they must convince others to buy into that vision; and third, they must continue to live with that vision each and every day. It's nearly impossible for staff to support an institution's goals if they don't know what they are. That's why Greater Nevada has a multi-phase process to create and share its long-term plans. First and foremost is the credit union's annual planning session, which covers a three-year cycle. During the multi-day board session, the board establishes the plan; after, during the multi-day executive session, leaders figure out how to execute it. At the end of this process, the credit union emerges with a scorecard that tracks key metrics. Together as a group, leaders refer to that scorecard once every two weeks. Another component of this planning process is the asset and liability committee (ALCO) quarterly deposit and loan strategy meetings, Whitney-Silva says. 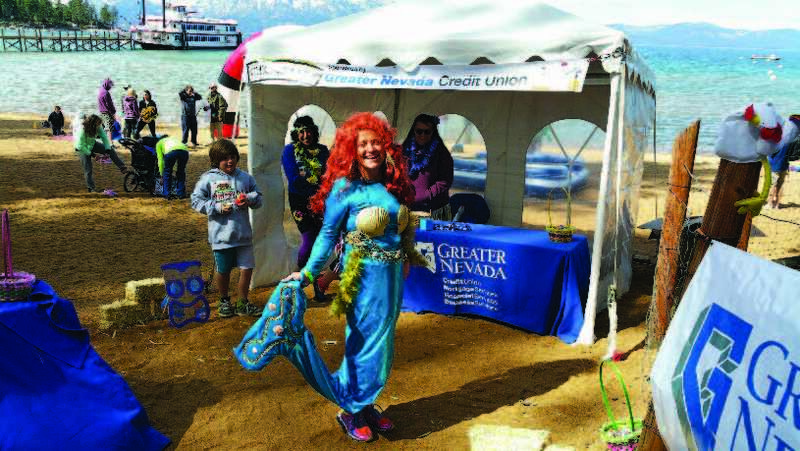 Greater Nevada's efforts include various fundraising events for the University of Nevada Marching Band and a polar plunge in Lake Tahoe to raise money for the Special Olympics. This new focus allows the ALCO to more effectively manage risks during its monthly meetings. That vision doesn't stop in the corner office or the boardroom, either, as all branches and departments across the organization take part in a monthly High Impact Focus Intensive (HI-FI) meeting to review the scorecard and other developments together. The credit union also shares that information across the company intranet. And once a year on Columbus Day — which is a federal holiday but one that staff here have swapped out to celebrate Nevada Day in late October — Greater Nevada gathers everyone across its broad footprint for an all-employee meeting. Of course, not all visionary ideas come directly from leadership, which is why the credit union created its Strategic Thinker program. This email-based feedback channel goes straight to the executive team and is linked to the credit union's Rec Room program, an intranet-based portal where employees earn and use points to shop for merchandise, trips, or other rewards. The credit union rewards points to employees who submit ideas that establish such a link. And if Greater Nevada implements the idea, the employee receives even more points. If they fail to make their case, however, the credit union doesn't shut them off. "Instead, we connect them with the leader of their particular business area for a conversation about how they might rework the idea and resubmit," Murray says. The credit union also allows its employees to take individual ownership of its philanthropic efforts. Some of these community commitments occur at the institutional level, such as the credit union's in-school branch at Carson High School. The school also serves as an excellent training ground for perspective employees. At the collegiate level, the credit union offered 20 scholarship assistance packages of $2,000 each in 2015. In support of this goal, the company intranet houses a massive listing of campaigns across the credit union's footprint with which individuals can get involved. These include doing mock interviews, judging high school projects, raising funds for the University of Nevada, Reno, marching band, and presenting financial education lessons at various middle schools, high schools, and the University. In three year's time, the credit union's direct contribution to the band has totaled slightly more than $100,000, but Greater Nevada staff support has attracted matching funds from other foundations, too. And that's had a measurable impact on the group. Another major rallying point for many staff members has been Special Olympics Nevada. 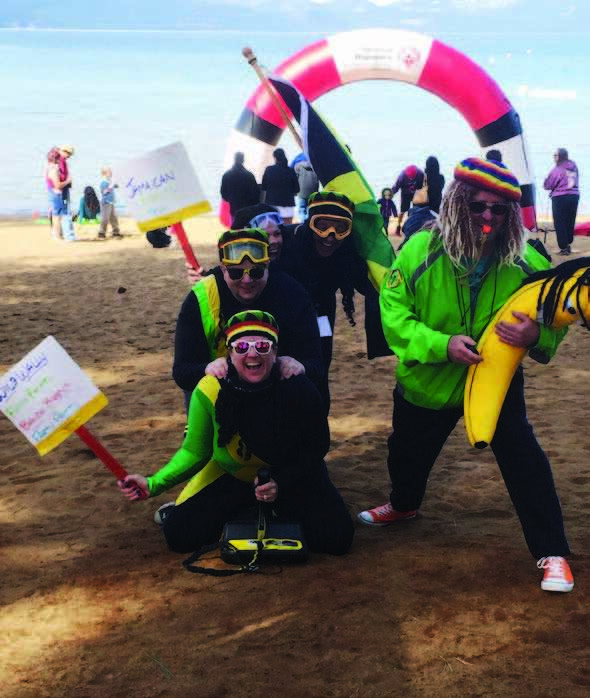 Credit union employees have staffed summer games as well as participated in fundraising efforts, such as the annual polar plunge challenge in the frosty-cold water of Lake Tahoe. During the past three years, the credit union has also invited family and business partners to join it in the plunge. Now more than 100 participants strong, its team played a huge part in helping Special Olympics raise more than $120,000 for this year's plunge. And even though the market is separated geographically from the broader credit union, staff members in Ely have taken up their own flag for the American Cancer Society's Relay For Life, Altus says. When Greater Nevada Credit Union opens a new branch, it replaces the traditional ribbon in its ribbon-cutting ceremony with a line of large bills taped together. After the ceremony, it distributes the cash to worthy causes in the area. 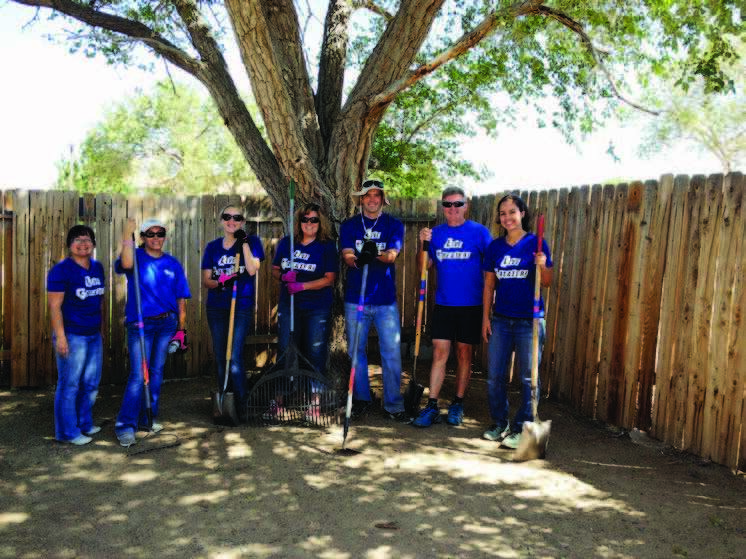 "At one of our newer branches in Elko, Special Olympics Nevada got half of the ribbon and the school district received the other half,” says Dean Altus, the credit union's chief operating officer. "At our Golden Valley location, we donated the ribbon to the North Valley's high school marching band. They came out and played a couple of songs with the UNR Marching Band during the ceremony as well."